Last Wednesday the Commission confirmed that it has decided to prohibit -for the second time- the proposed merger between Ryanair and Aer Lingus merger (click here for the press release). This is the fourth prohibition decision adopted under Commissioner Almunia, and the 24th in the history of EU competition law. Ryanair has issued a press release in which it argues that its offer “was supported by an historic and unprecedented remedies package that included not one, but two upfront buyers (BA/IAG & Flybe) to take over approximately half of Aer Lingus’ short-haul business (…) The transfer to these upfront buyers of Aer Lingus’ business on the 46 crossover routes identified by the EU Commission, together with the relevant slots, aircraft, personnel and branding, was ensured by binding, irrevocable commitments by those upfront buyers including Board approvals”. 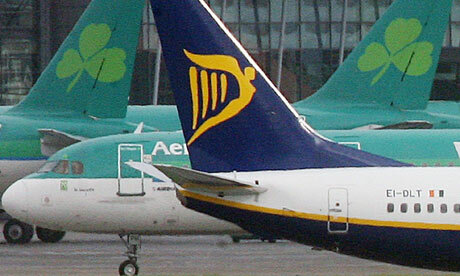 In Ryanair’s view, “[t]he history of the EU’s treatment of Ryanair’s two offers for Aer Lingus conclusively proves that this prohibition is a “political” decision to pander to the vested interests of the Irish Government (a minority 25% shareholder in Aer Lingus) and is not one that is based on a fair and reasonable application of EU competition rules or precedent airline merger approvals in Europe”. Are EU merger control rules on when an up-front buyer is a suitable one sufficiently clear? What discretion should the Commission enjoy in this regard? Ryanair has announced that it will appeal the decision before the General Court, so we should expect to have some answers to these question soon. Subscribe to comments with RSS. Seems to me that the point is less whether the commitment is unprecedented in historical terms but whether, as proposed, it would remove the competition issue. Looking at it from the outside, it seems to me that there is merit in the Commission’s doubts, given that the commitments only seemed to guarantee a competitor for a limited period of 3 years.